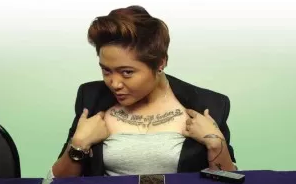 During the blog conference for Tambayan hits way back June 2013, I told the producer that she should get Charice Pempengco to join the concert because people were clamoring to see Charice in concert after she announced to the world her true sexual orientation. The show producer even asked me who is Charice Pempengco's manager now. I told her that Charice Pempengco's manager is a Fil-Canadian guy from Calamba, Laguna who goes by the name Glenn (Aldueza). I told her to contact Glenn. She said she thought Charice Pempengco's manager is in the US. I told her no, I don't think so, because as far as I know Charice is now being managed by Glenn. To my surprise they are now producing a concert for Charice and Aiza this coming August or September. I am happy for Aiza and Charice. Go break a leg!